The label continued to sign and release recordings in the R&B genre, but had no more real hit records. 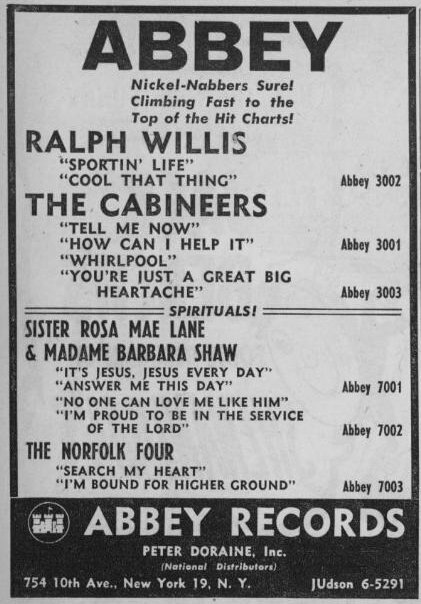 Some of the other artists who released Abbey records in 1949-1951 included – and I include some of the more entertaining song titles here, as well – The Masterkeys, Art Long (“Blues Got Me Walkin, Talkin’ To Myself”), the Ray Parker Combo (performing with Bobby Marshall, on one album, the Inkspots’ song “Are You Lonesome Tonight,” later made famous by Elvis), the Eddie Wilcox Orchestra (“I Shouldn’t Love You, But I Do”), Ralph Willis, Billy Matthews, Elmer Crumbley, Johnny Felton (“You’re Spending My Money Too Fast”), Jewyl Lang, The Radars with the Conrad Fredrick Orchestra, Nellie Hill (“I’m Gonna Copyright Your Kisses”), Sister Dorothy Rivers and Her Gospel Singers, the Billy Ford Orchestra, Joe Candullo’s Orchestra (“I Cooed, I Wooed, I Wed in Tennessee”), Joan Shaw, Elaine Brent, and the King Odom Four (“Don’t Trade Your Love For Gold”). Despite having signed a few partners since 1949, Doraine is still the hear behind Abbey records and when he is signed as head of A&R for Allen Records in 1952 Abbey records fades away. This album, Abbey 15056, is in good condition, though it does skip twice at the beginning of the A-side recording. There is very little wear to the shellac or to the paper label. It is an electrically recorded 10-inch diameter 78 r.p.m. 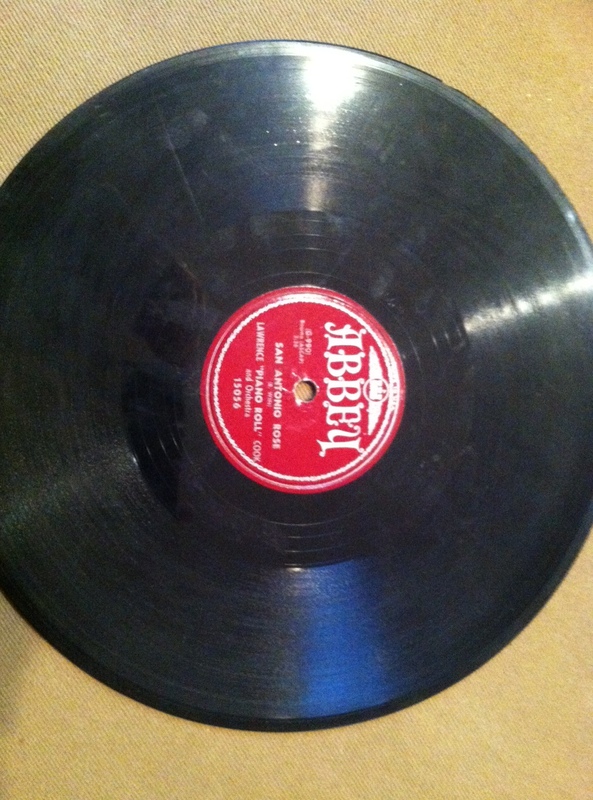 black vinyl disc with lateral grooves and a ¼” spindle hole. The A-side recording features Lawrence “Piano Roll” Cook and His Orchestra performing Cook’s own composition “The Mason-Dixon Boogie.” The matrix number is G-989 and it runs 2 minutes. The B-side is the same musicians performing “San Antonio Rose” written and originally performed by Bob Wills and His Texas Playboys in 1938. The matrix number is G-990 and it runs 2 minutes and 36 seconds. I could find no date for the recording of the album, though Billboard magazine of November 17, 1951 includes an ad for a store called Speedy Record Sales in Yonkers, in which the album is listed in their top picks (alongside Tony Bennett, Perry Como, Bing Crosby, and Hank Williams records) and available for 60-cents. It was probably recorded in very late 1949 or at some point in 1950. Abbey 15056 does not appear in Les Dock’s guide to record values, but I found one dealer online selling a copy in V+ condition for $4. 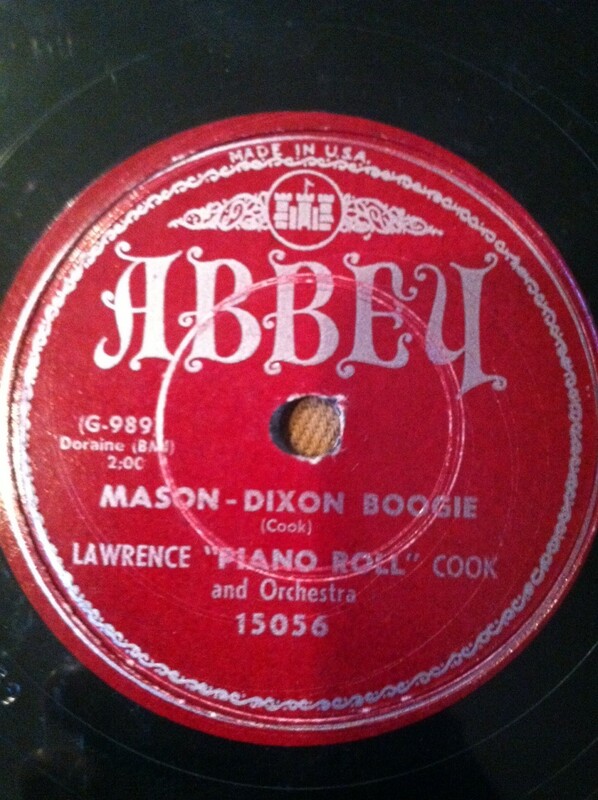 Abbey later re-released “Mason-Dixon Boogie” on 45 r.p.m. as Abbey 3029; I found one dealer selling that record for $20 and another selling it for $5. Jean Lawrence Cook (1899-1976), aka “Piano Roll” Cook, has been mentioned on this blog before, coincidentally quite recently, for his 1955 piano roll version of John Moore and Ewart Abner’s “At My Front Door,” which he recorded under the pseudonym “Pep Doyle.” Cook was wildly prolific and by some accounts made more piano rolls than any other pianist in history – as many as 20,000 different roll recordings (over his 56 year career, that works out to about one roll recorded per day, every day of the year). Remarkably, despite being one of the most high-volume musical artists of the 20th century he is barely known today –a search on Amazon finds just 11 products with Cook’s performances on them (some CD and some records) and he has no channel – not even a presence – on digital music stations Spotify or Pandora. 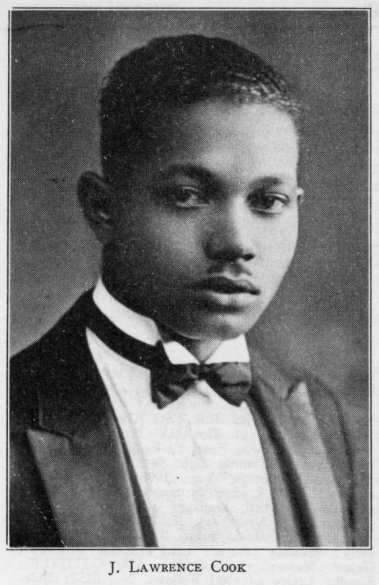 Cook, from Athens, Tennessee, became an orphan at the age of three and was raised by relatives who introduced him to music, and the piano more specifically, at a very young age. In March of 1920 Cook headed to the Big Apple to try his luck in the Tin Pan Alley scene. He landed at U.S. Music Roll Company, where he made some piano rolls, before being hired away three years later by the behemoth in the piano roll industry, QRS Music Roll Company. Cook remained with QRS for five decades. While most of his rolls and recordings were released under his own name, some were not – as we’ve already covered here on Zayde’s Turntable. Interestingly, however, some of Cook’s rolls were marketed as being recorded by an actual other living artist – Fats Waller – perhaps in an attempt to increase sales. The site linked above (click on Cook’s name in the first sentence of this paragraph) has an extensive biography, document images, and more, about “Piano Roll” Cook. Jahn’s storefront, shortly before it closed in 2007. Cook made many of his recordings and rolls (including possibly this one), not in a studio, but on the nickelodeon piano at Jahn’s Ice Cream Parlor in Queens. 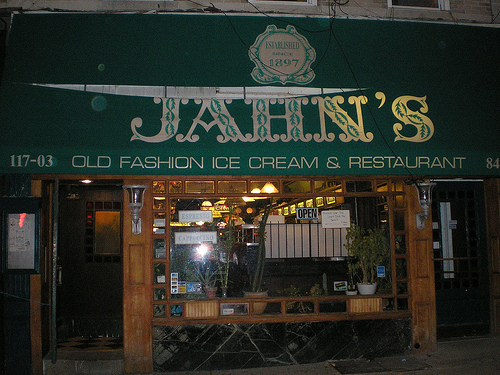 Jahn’s (as in, “John’s” with an accent) was one of the neighborhood’s most popular dining establishments, serving dinner and ice cream. The business displayed many of the historic artifacts associated with the site’s long and proud history, including the working piano that Cook made his recordings on, until it went out of business in November 2007. 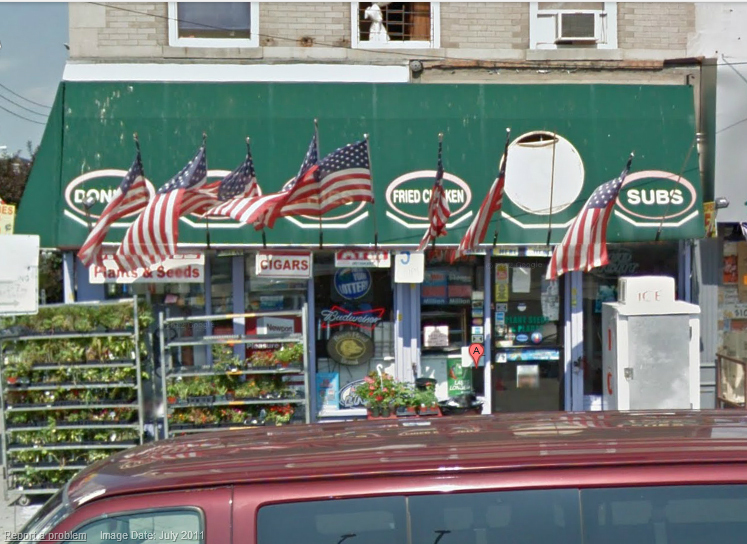 The site where Jahn’s once was is now a corner market. Cook’s tune “Mason-Dixon Boogie” has received very little play outside of this record, which is unfortunate because it’s a nice, jumping jazzy tune. Dink Embry (1920-1999) and the Kentucky Lads and Reece Shipley (1921-1998) made recordings of a song with the same name, but for which label and when I cannot find. I also could not confirm if their recordings were of Cook’s tune; I am skeptical that it was, as both Dink Embry and Reece Shipley were more rockabilly/country musicians than traditional “boogie” artists, but I may be mistaken. This is another instance where I believe this version (click the song title in the first sentence of this paragraph) is the only recording of it available online today – if you find any others, please let me know in the comments section. 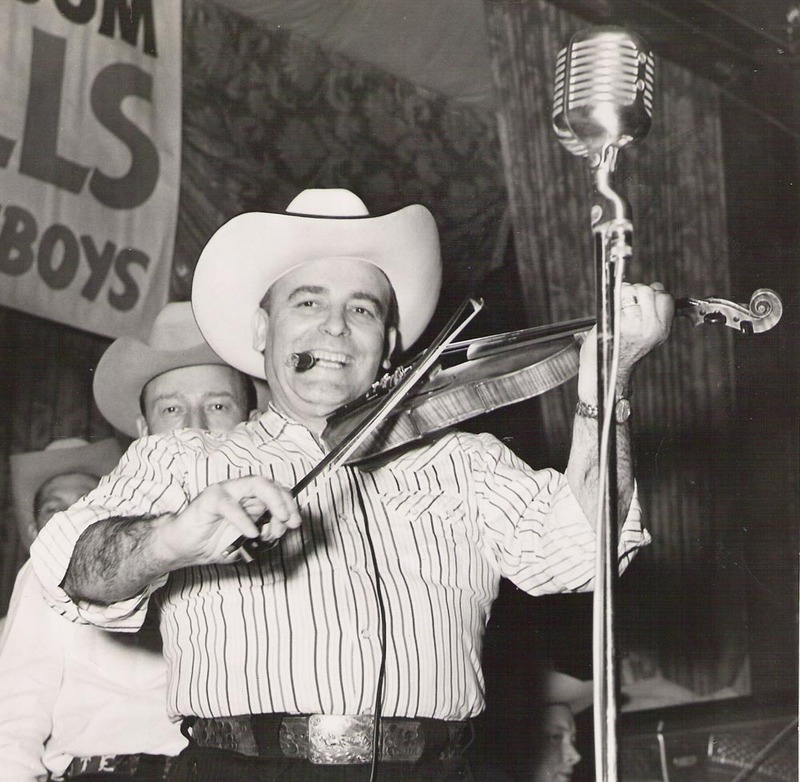 Bob Wills, demonstrating one of the benefits of choosing a string instrument over a wind instrument. Q.R.S. 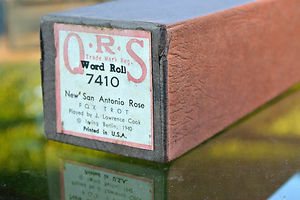 piano roll of the “New San Antonio Rose” – the same tune as “San Antonio Rose” – performed by Lawrence Cook and written by Bob Wills. 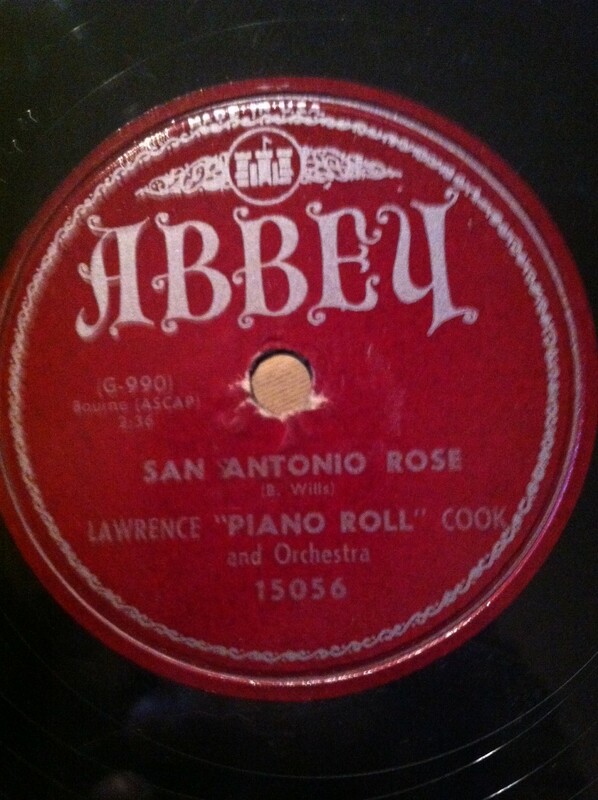 As a “word roll” the lyrics appear along side the piano roll’s perforations, hence the title “New San Antonio Rose.” Despite the inclusion of the written lyrics on the paper, however, I believe this roll is the exact same performance captured on Abbey 15056. It may seem incongruous to have a “country” style tune opposite a boogie – maybe Doraine thought it could be sold as a “southern-themed” record. Whatever the reason it’s a fun album and I love sharing the up-beat music with my energetic daughter. The fact that the piano parts are most likely off another obsolete musical medium – the piano roll – makes it that much more of a delight.